An indispensable addition to your Proustian library! 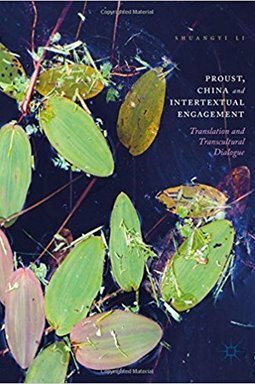 This book is about the translation of Proust into Chinese, the way that mainland Chinese writers cite Proust to enhance the prestige of their works in China, and the transcultural re-writing of Proust undertaken by Francois Cheng that aims to reorient Western and Chinese literary aesthetics. For me, the most interesting development in this work is the overarching critical framework elaborated by the author, notably from Mads Thomsen's (2008) model of international canonization. This 'constellational' approach is exhibited in the extensive chapter on Francois Cheng and transculturality, and offers a clear example of how such "back translation" can be more fruitfully explored in future studies in World Literature. At the (Bhabhaian) interstice of two tributaries - the Chinese and French language/culture - the author has built something 'new' (and indeed 'old'), his own cathederal 'in the Chinese shadow'.